The presented book describes the results of the research of the project titled ‘Phosphorus Renewable Raw Materials – A Resource Base for the New Generation of Fertilizers’ attributed to the National Center for Research and Development of Poland. This book is divided into three chapters that are assigned to different stages of the project undertaken by different R&D institutions. The concept and possible options of valorization of waste biomass, such as bones, fish bones, and ashes originated from the incineration of sludge from a waste-water treatment plant from the tertiary stage of biological treatment as resources of phosphorus were described by the team from Wroclaw University of Science and Technology. As a method of by-products valorization, the solubilization process was proposed. Two strategies were proposed: Ex-situ and in-situ. The in-situ manner resulted with suspension fertilizer with a low concentration of P2O5 while ex-situ gave the possibility to obtain two solid formulations with the high content of P2O5. All of them could be used in agriculture and horticulture as granular fertilizers or as substrates. The different content of P2O5, as well as other nutrients in obtained formulations, were described as an effect of utilization of different raw materials as well as various additional substances such as binders necessary for the stability of final formulations. What is more, the efficiency of obtained formulations was strongly related to the kind of microorganism used as an ‘activator’ of unavailable phosphorus, which was discussed in details. 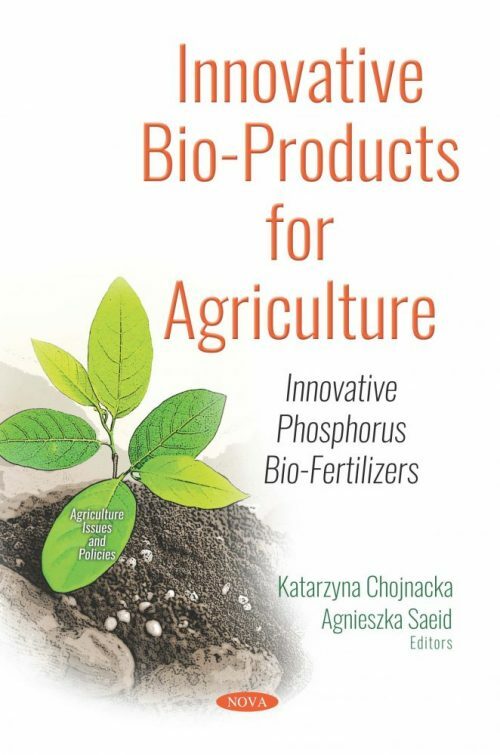 The technology of production for biofertilizers in pilot-scale was described by the Institute of New Chemical Synthesis in Pulawy with the following issues underlined: Design of installation to produce fertilizers based on renewable raw materials; plant construction and production of the product; and preliminary economic analysis.